Are you a golf enthusiast? 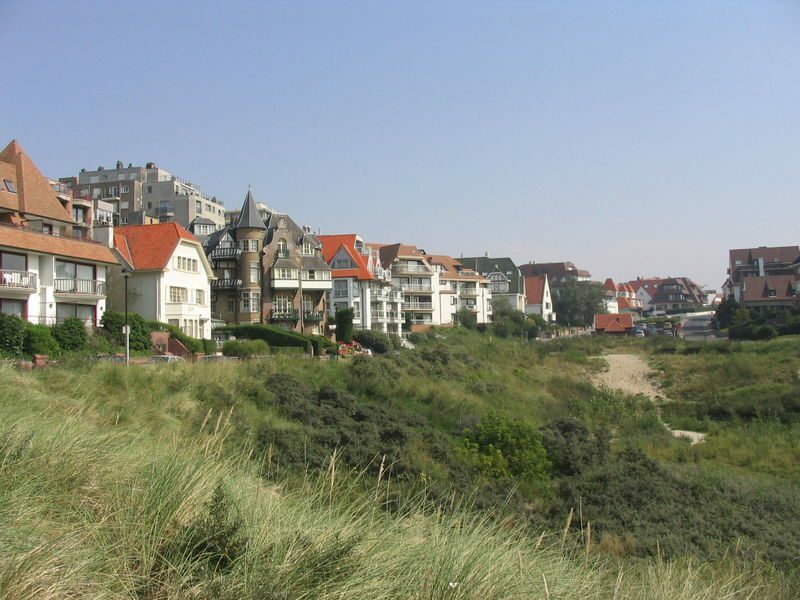 Then you will love Zeeland for its golf courses. The BurgGolf golf course in Middelburg is the place to be to better your golf skills. The golf course and the adjacent ZEP Leisure Park are only a 15-minute drive from De Gulden Stroom. De Goese Golf golf course is located on the fringes of Goes, next to villa park Het Goese Meer. With some of the finest greens anywhere, this golf course has something for every golfer. The 18-hole championship A status course and 9-hole (par 3) course feature lovely ponds and a magnificent view of the polder. For detailed information, visit www.goesegolf.nl. Fancy swinging your club in a lovely wooded surrounding or in the dunes? Then treat yourself to a day of golf at the Domburgsche Golfclub in Domburg. Zeeland is a true paradise for people with an adventurous palate. It’s the place to be for culinary delights! 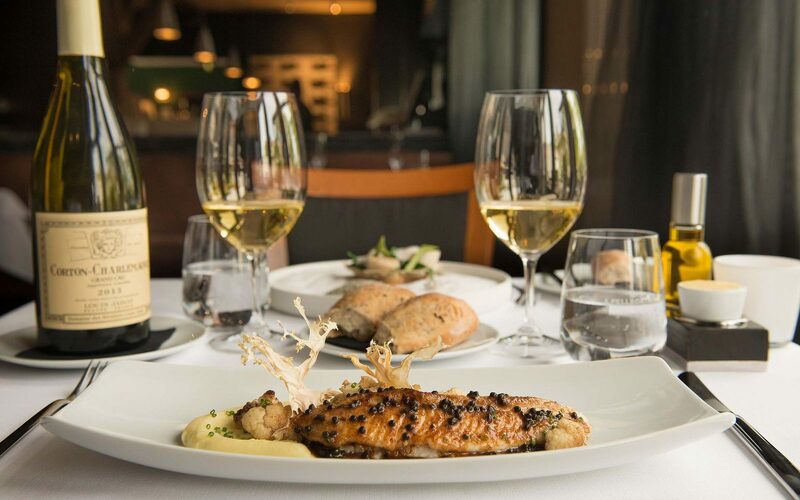 In addition to numerous excellent fish restaurants with fresh, daily seafood menus featuring the best local plaice, sole, cod, and gurnard, Zeeland also has more Michelin-starred restaurants than any other Dutch province. Zeeland has a rich history and is very proud of its heritage. The people of Zeeland honour their traditions and dialect and feel strongly about keeping ancient customs and rituals alive. Zeeland’s many museums, monuments and art galleries testify to this. 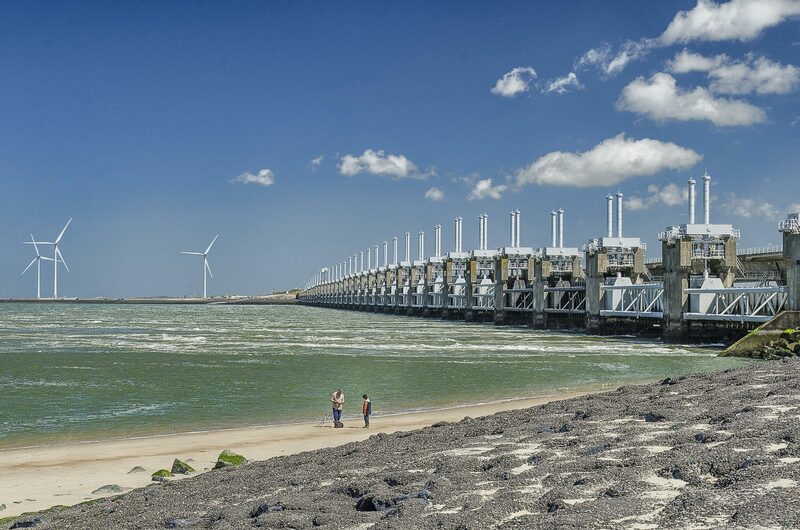 Water is a recurring element here too – not just the battle against the water, but also the many possibilities that water creates for Zeeland’s inhabitants. The inhabitants of Zeeland are people who enjoy life to the fullest. Does this sound like you? Then we welcome you to visit Zeeland and get a taste of the good life. Your holiday in one of our luxury beach apartments will be all about enjoyment. 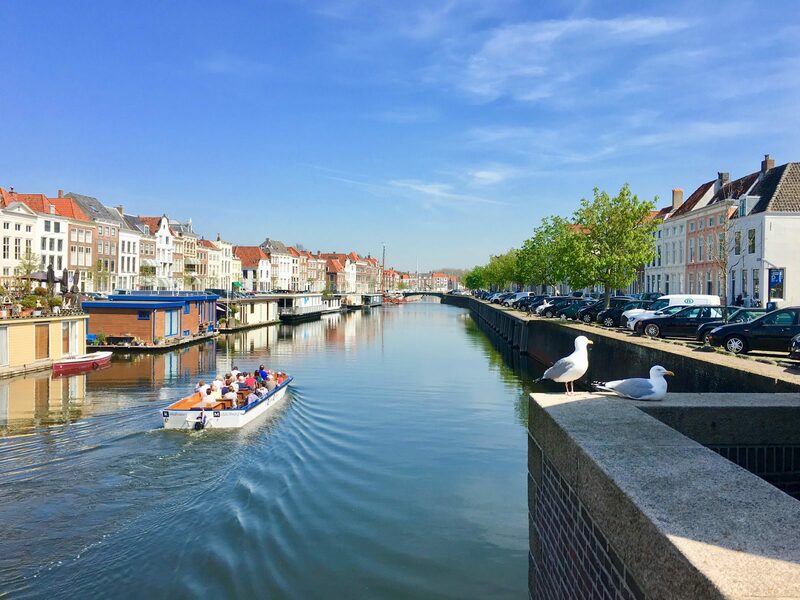 With its wide-open, scenic landscapes, sweeping vistas and abundance of water, Walcheren is the ultimate holiday destination for lovers of nature and peace and quiet. 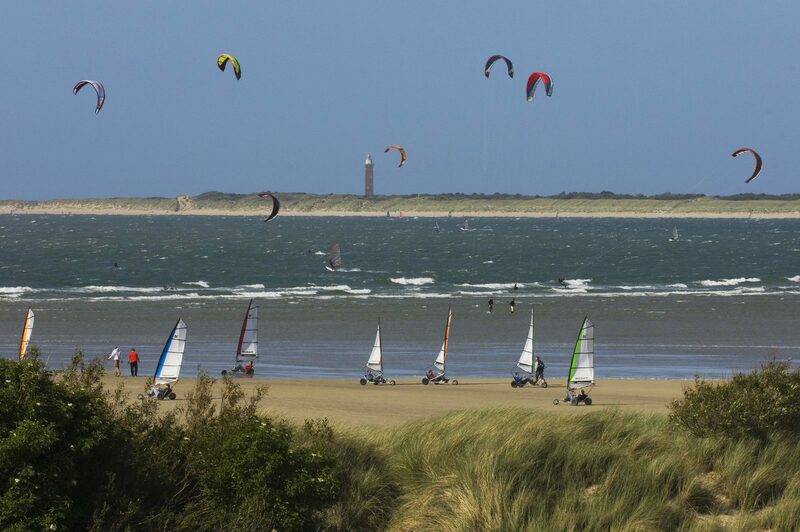 Come and enjoy the many different types of scenery that Walcheren has to offer! Is your idea of the perfect holiday a mix of lazy days on the beach and action-packed fun? Then our apartments are the perfect place for you! 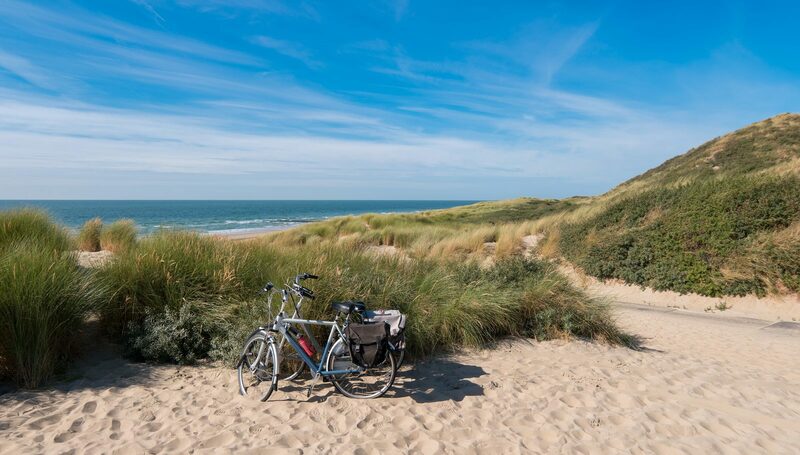 Did you know that Zeeland is one of the most popular provinces for cycling? 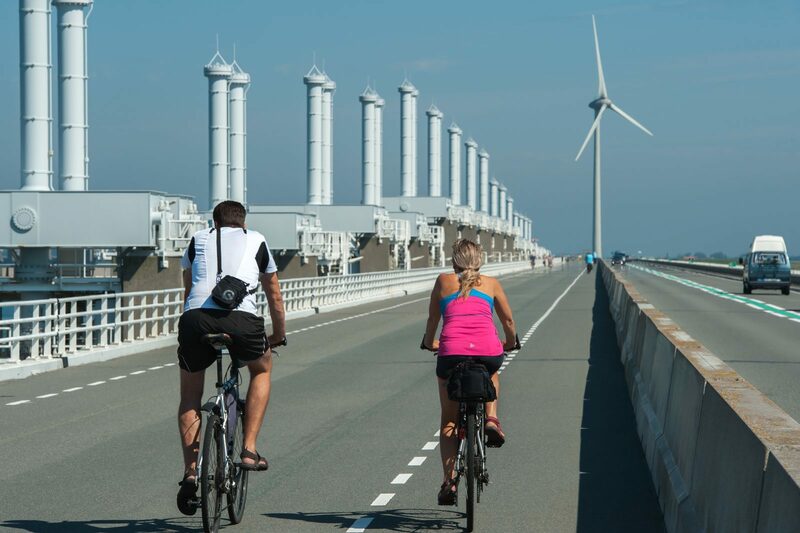 Enjoy all the different types of scenery that Zeeland has to offer by bicycle or foot – you’ll find each hike or cycling tour is different. An extensive network of bicycle routes makes it easy to plan your own cycling tour. The small city of Veere has an illustrious past. Today it only has about 750 residents, but in the 15th and 17th century Veere used to be a prosperous trading city with more than 5,000 inhabitants. This attractive old city oozes charm and the atmosphere of a time gone by, combining the past with modern-day liveliness in a stunning setting with water galore. De Kaai near the marina and the Markt square are dotted with beautiful merchant’s houses and warehouses with stepped gables, spout gables, cornice gables and bell gables. Today, much of the city’s heritage is still alive, such as the impressive Grote Kerk, the elegant town hall on the Markt square, the gothic Scottish houses along the Kaai and, last but not least, the fortifications. Veere also has many traditional shops. 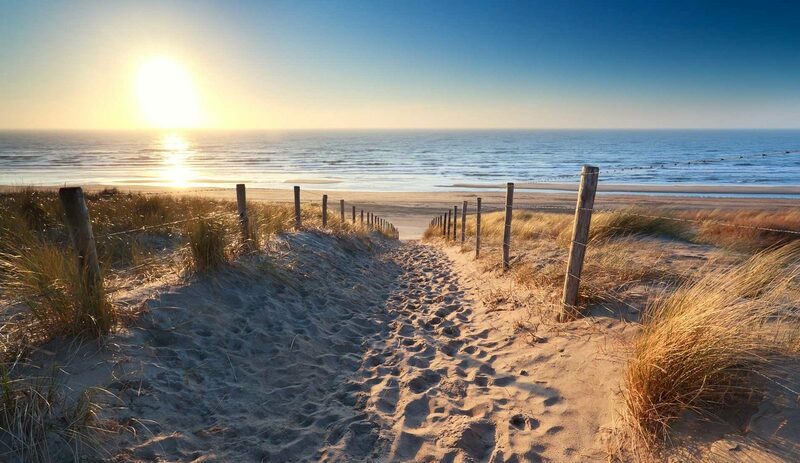 With the most sunshine in the Netherlands, Walcheren is a great destination for walking. There are lovely hikes through the dunes and along the shore a stone’s throw from the beautiful esplanade with its cosy terraces and restaurants. Fishermen won’t come home empty-handed in Vlissingen. There are so many fishing spots! Take a boat out to sea or go fishing on the beach. 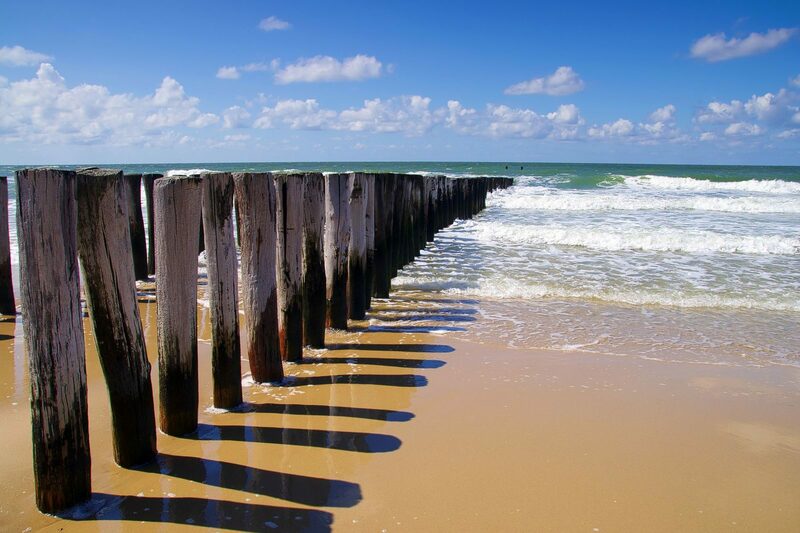 Vlissingen’s groynes, canals, brooks and ponds are also excellent places to cast your rod. You can even go fishing in the city centre. 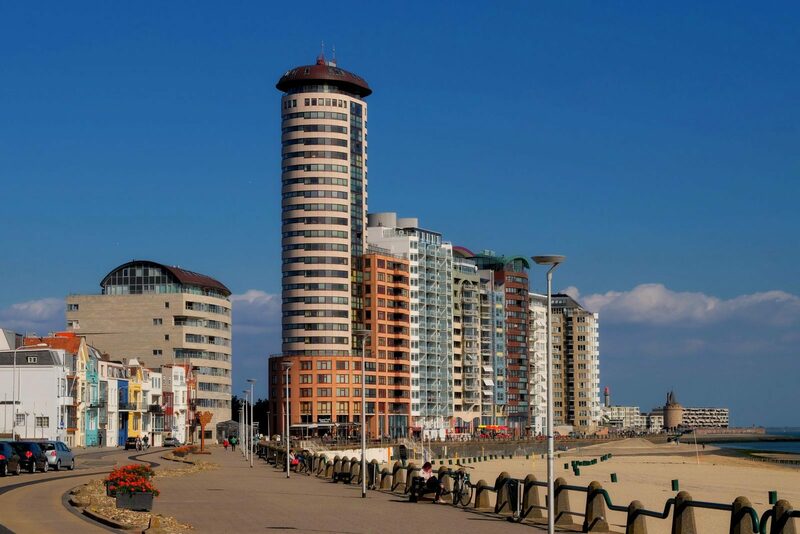 In short, Vlissingen offers something for every angler. And the fish bite well in Vlissingen: the waters contain plenty of fish including eel, perch, trout, whiting, common dab and even Dover sole. Zeeland is a beautiful province with a very diverse landscape. This is probably why it’s the number 1 spot for cycling for so many Dutch people. Of course, you can also combine your cycling tour with a visit to one of the many sights or events Zeeland Flanders offers. 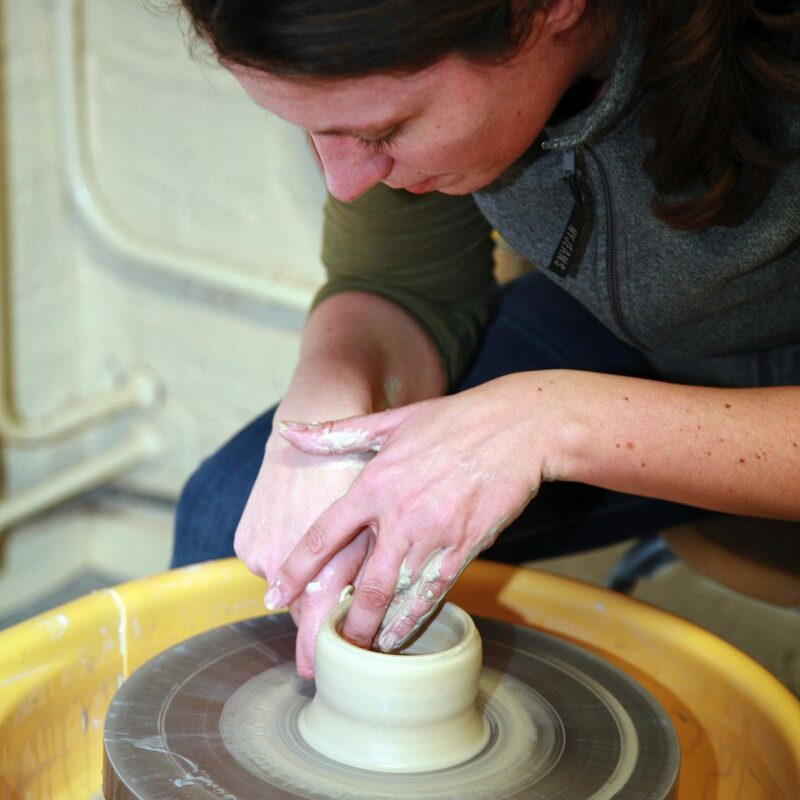 Here are a few suggestions for things to do while you’re in Zeeland. 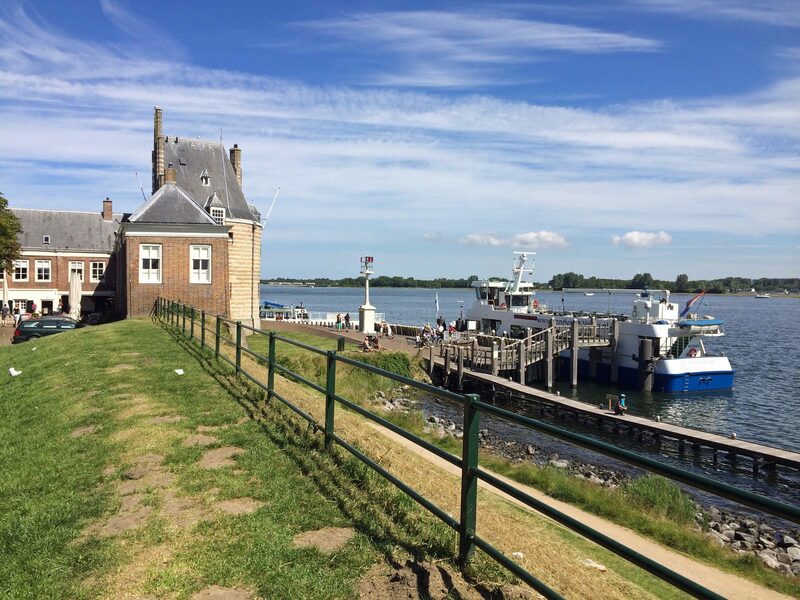 What could be better than exploring Zeeland by boat? 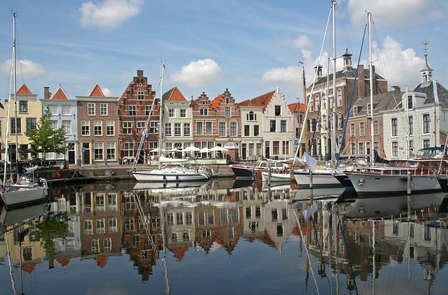 Vlissingen and Middelburg offer plenty of cruises for you to take. 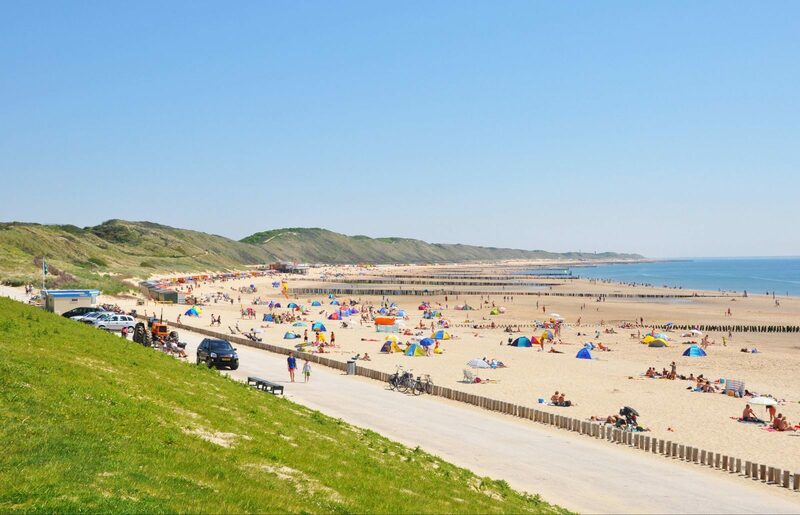 Further along the coast at about an hour’s drive from Vlissingen lies Knokke, a stylish seaside resort often described as ‘Belgium’s Saint-Tropez’. It’s a perfect place for shopping and enjoying the beach and the promenade. An excellent time to visit Knokke is in summer when there are lots of events on and the nightlife is bustling. Knokke also has beautiful nature reserves. The Zwin plain has a unique biotope of mudflats and salt marshes – the largest in Belgium. The reserve is inhabited by a remarkably wide range of European water birds and its landscape is truly breathtaking. Bruges is one of the most beautiful cities in Europe: it is not without reason that in 2000 its entire centre historic city centre was included on the UNESCO World Heritage List. 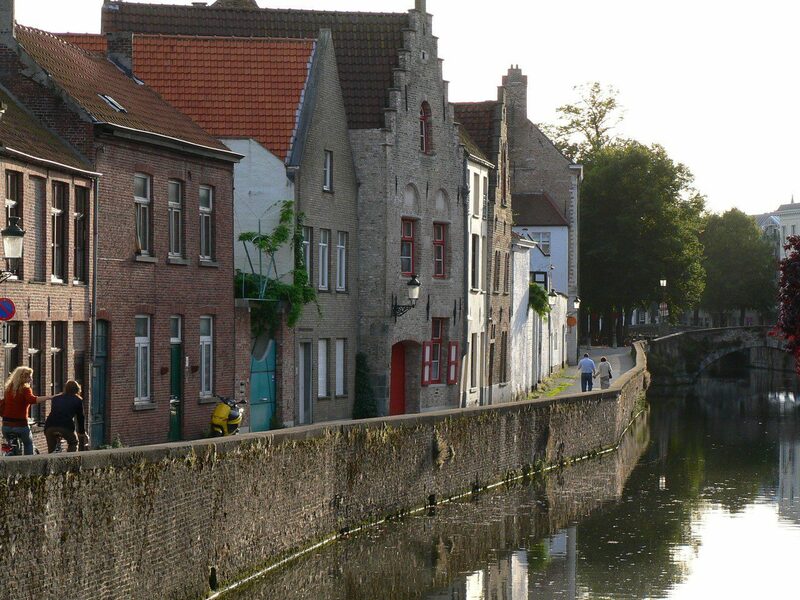 Bruges’ winding alleys and romantic canals will transport you back to the Middle Ages. With an abundance of places of interest, there is always something to see and experience. In addition to a wide selection of museums and historic monuments, Bruges has also seen an influx of modern architecture in recent years. The city was one of the two European Capitals of Culture in 2002, which provided the perfect framework for a number of contemporary architectural projects in the city centre. he sunny village of Zoutelande – dubbed the ‘Riviera of Zeeland’ – is a quiet, easy-going and cosy town. Thanks to its favourable location, the temperature in Zoutelande is a few degrees higher than that of other seaside resorts. This is because the beach is south facing. Zoutelande is not only the only seaside resort in the Netherlands with a south-facing beach, the beach is also very clean and has many beach facilities. Middelburg, the capital of the province of Zeeland, has preserved much of its historic and picturesque character and offers a large variety of events and shops. This makes it a very popular tourist destination. Combine a tour of the fabulous town hall or a walking tour of the city with a visit to the many shops in town. Don’t forget to stop at one of Middelburg’s many terraces, cafes or restaurants along the way. One of the most famous tourist attractions in Middelburg is the abbey complex, established around 1100. When exploring the city by foot, take a moment to wander through the alleyways and narrow backstreets in the old city centre. 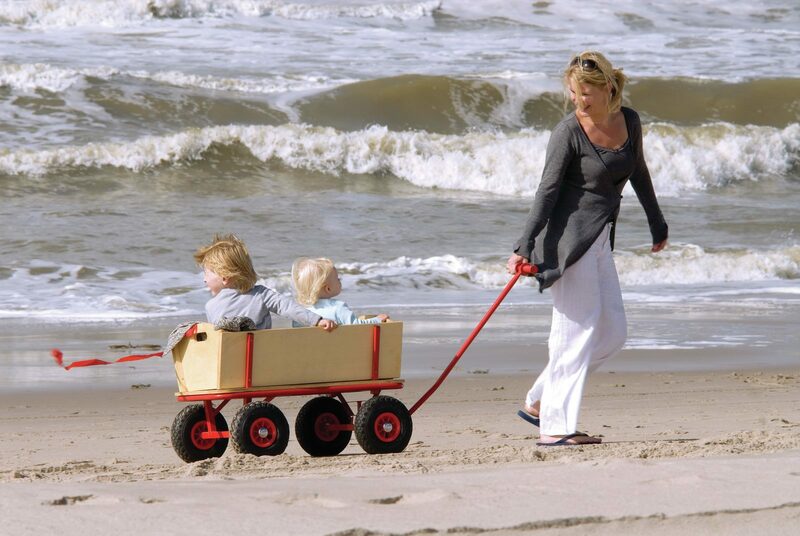 The beaches of the Netherlands are visited by many tourists and day-trippers each summer. But Vlissingen also has plenty to offer in the early and late seasons. 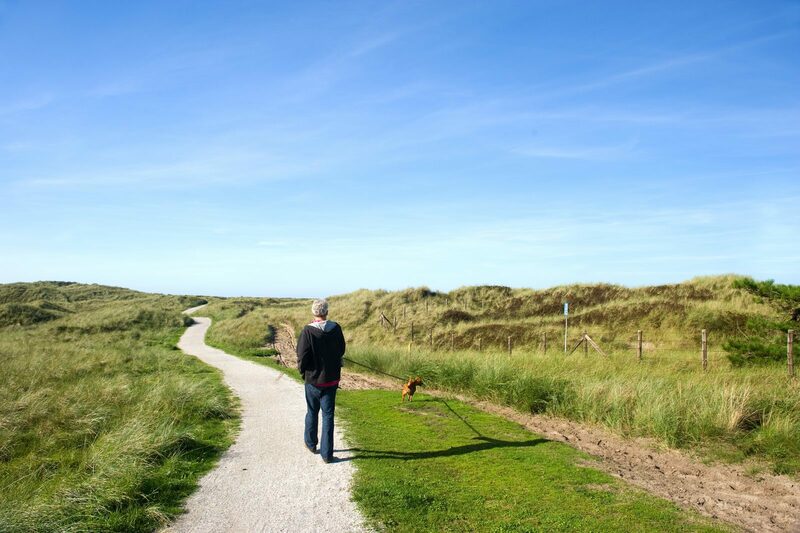 Even when temperatures are not hot enough for sunbathing, the beaches of Zeeland are great for walking. In fact, many people feel rejuvenated after a long walk along the beach! Swimming is a fun, active and healthy pastime for young and old alike. 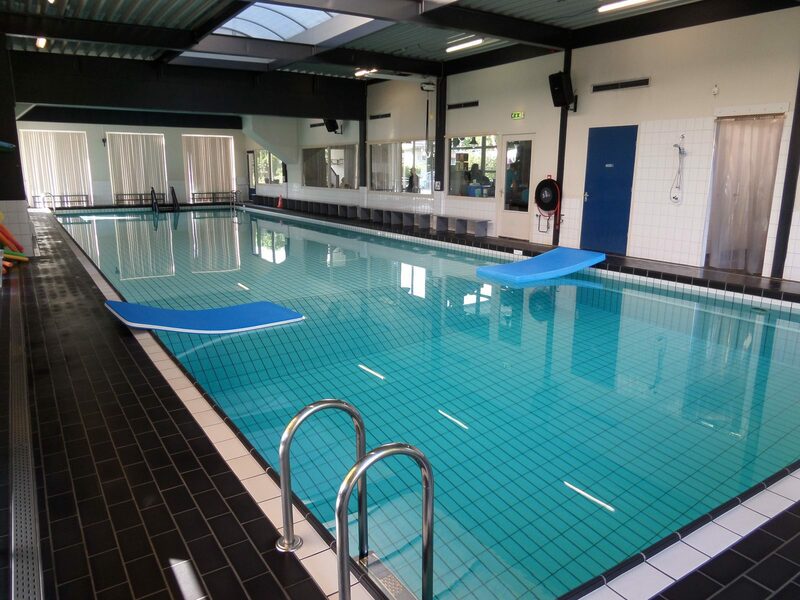 Vlissingen has one of the nicest and most modern swimming pools in the Netherlands! The easily accessible Vrijburgbad is located between Vlissingen and Middelburg. Water sports and Zeeland: the perfect combination! With more water than land, the Delta region is ideal for everyone who is into water sports. All the facilities you need are here to practice your favourite water sports. Goes is the only town on the Beveland islands with an urban feel. It is a relatively big market town with a protected cityscape. 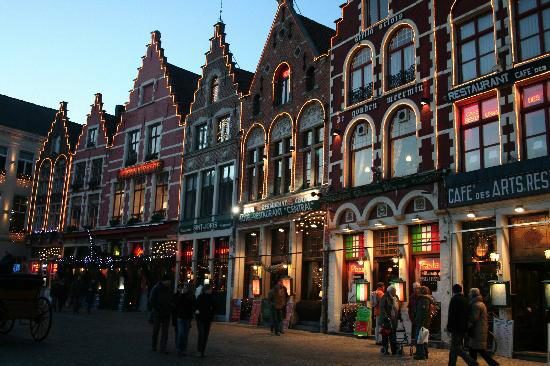 Medieval streets with historic buildings lead to the Grote Markt square and town hall. With its picturesque old port and numerous listed monuments, Goes is one of the loveliest towns of Zeeland. In summer, you can take the Goes-Borsele steam train, a ride that will take you back to the past. You can also combine your train ride with a cycling or walk tour. For more information, see www.destoomtrein.nl. Goes has a bustling market that is famous throughout the area. If you want to spot locals in traditional costume, market day is probably the best opportunity.